June, 2009 | Isabelle Chrun M.Sc. 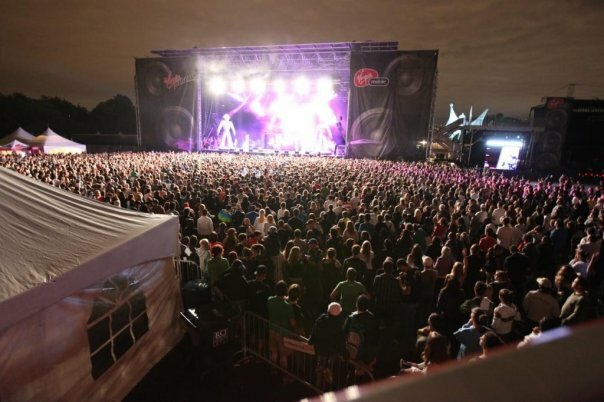 Montréal was selected to host the event because of our thriving music scene and thousands of festival-loving fans. And true to our reputation, Montrealers gave it up for The Black Eyed Peas, who treated the local audience to new songs from their new album The Energy Never Dies (The E.N.D) as well as classics “Let’s Get Retarded” and “Dont’ Phunk With my Heart”. They closed with “Boom Boom Pow” which left the audience chanting for more. Another notable act that wowed the crowd, young and old alike were the New Kids on the Block. It was endearing to see the different generations following the American pop group “step by step”. Brilliant way to end the festival. Even with all those superstars, the crowd was stoked to groove to the beats of Montreal talent Jonathan Roy and Karl Wolf. But the local band that really shook things up was Simple Plan. This world renowned band delivered a rockstaresque performance to an ecstatic crowd. They also treated their fans with a cover of Lady Gaga’s “Poker Face”. The uniqueness of this city appears to be an inspiring place for emerging artists. The mix of cultures becomes a muse to them. Indeed, Montreal singers can be influenced by the soulful American music, the richness of European lyrics, and the variety of other parts of the world. Artists can gain a lot from evolving in this blend of cultures where opportunities arise due to the particularity of their work. Moreover, Montreal gives a chance for many new comers to perform in several festivals. For example, the Jazz Festival allows “small” artists to play onstage during the day. – Make buddies with the security crew of the events. The security guards were quite nice and chatty. I asked them whether they saw any VIPs entering the venue and they spilled the beans that Zac Efron and Vanessa Hudgens arrived in black Cadillac limousines to watch the festival! Unfortunately, Akon had to cancel due to immigration papers problems. As a result, you could get a 100% refund before the next artist arrived on stage. So there is a trick here if you want to make quick money: Go buy a last-minute ticket from a scalper at a reduced price (around $30) and get a full refund at the tickets stand ($75). But don’t tell anyone that I told you that. Montréal is always grooving. There are tons of things to do in the city. On that week-end, not only was there the Virgin Festival, but there were also the St-Laurent Street Sale and the Montréal International Fireworks at La Ronde. So if you want to know what to do while you’re in Montreal, ask the locals to give you the down low and the boom boom pow.